Wisdom in Using Time and Achieving Goals. The only fair thing in life is every one of us has 24 hours a day, no more and no less. However, lots of it (time) gets lost in disorganization and disruption. Some of it (time) was spent on the low value or no value tasks. Today we will learn how to make the most of your time by getting a grip on your office space, organizing your workflow, learning how to use your planner effectively, and delegating some of your work to other people. Most importantly, we will discuss the wisdom of making choices and planning. An individual has 24 hours a day but how are we utilizing the time we have got? 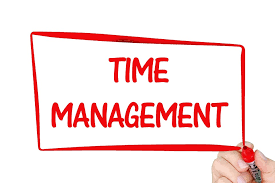 Are we really focusing on the time we have in managing our workload or are we lost in disorganization and disruption? The aim of this course, Wisdom in Using Time and Achieving Goals, helps individuals to better organize themselves and their work for peak efficiency in order to achieve goals.